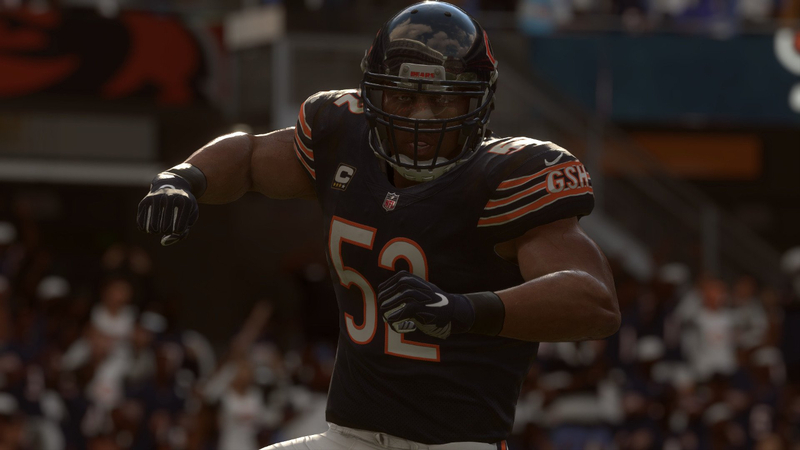 The most highly-anticipated roster update every year for Madden is the one that leads into opening weekend, given that many fans choose to wait on it before starting up a Franchise Mode that will carry them through the months ahead. Critical cuts, signings, trades, and even holdouts can come into play. That roster update for Madden NFL 19 released earlier today just in time for the season to kick-off. It includes the final 53 man rosters plus players on the IR and PUP list. The Khalil Mack trade represented the biggest move heading into the season. It’s reflected but unfortunately the other trade assets that were moved are not. Mack is now on the Chicago Bears, and with a lower rating of 95 Overall due to a position change from defensive end to outside linebacker. In new franchises started with this roster the Bears have acquired him for free, and the Raiders are left with nothing to show for it, because the draft picks involved in the deal were not moved.